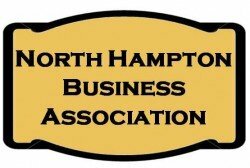 We invite all North Hampton Business Association Members to participate in our Annual Awards presented every year in February During the Annual Meeting. This award is given to the business that has done the most in the last year to improve the business community in North Hampton for the betterment of the local area and for their own accomplishments as a business. 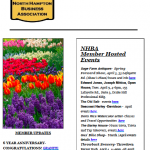 This award is given to a new business that opened in North Hampton within the previous year. This business should create positive, new energy in the town with the services it brings to the North Hampton area. This award, new for 2018, is an award given to the business that most tastefully displays the space their business occupies. Businesses who further beautify their space through renovations and improvements that positively influence the visual appearance will be strongly considered. Attend our Annual Meeting in February and VOTE for the winner in each category. Winners will be announced at our Annual Meeting in February and online here following. Know of any special business anniversaries that should be recognized?